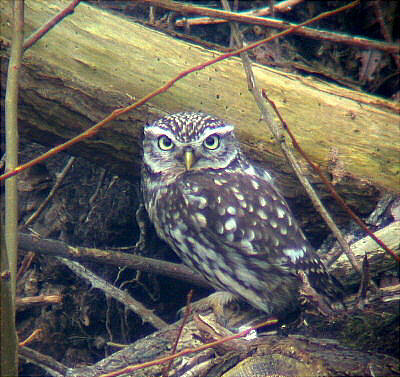 The Little Owl is the most regular Owl to be seen and heard on Severnside. Several pairs probably breed most years. There are some well known trees and perches where it can be seen. This individual was “digiscoped” on Northwick Warth in one such tree.